In most cases, fires that occur to your home are unexpected, and equally as devastating. This is a burden that no home or business owner should have to face alone. That is where we come in. Service Restoration of Alabama is an industry leader in the fire damage and repair industry, as we have been years of experience. We are Alabama’ preferred contractor when it comes to fire damage repairs, and have a loyal customer base for that reason. Our integrity shows in our work. We are bonded, licensed, and insured to do structural repairs, board-ups and anything relating to fire damage. We are also available 24 hours a day, 7 days a week, and 365 days a year. We will be there once the first responders leave to quickly assess the damage and come up with a plan of action. It is vital that you call quickly after sustaining fire damage to your property, as you may not initially see the damage, but a pair of trained eyes will. There are many issues that can be hidden under the surface when dealing with fire damage. This could be anything from electrical issues to hidden water damage from extinguishing the flames. That is why it is best to call the professionals at Service Restoration of Alabama after undergoing fire damage. We not only have the industry’s most innovative equipment, but IICRC trained technicians that know exactly what to look for in this situation. When dealing with fire damage, know that water damage is also usually a reality as well. We also undertake water damage and are fully equipped to handle it with skill and ease. We will assess the damage and keep you informed of everything we have found. 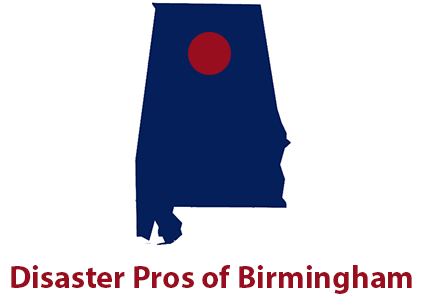 If you need assistance in this tough time, look no further than Service Restoration of Alabama.